 [Omaha, NE] From July 10-16, 2016, the Servants of Mary Sisters and Associates from the US, as well as, Servants of Mary Sisters from the UK, France, Canada, and Jamaica gathered in Omaha for an Assembly. Their Assembly was a time for prayer, reflection and planning. Their focus was on how to best continue to share their mission and charism of sharing God’s compassionate presence in today’s Church and world. 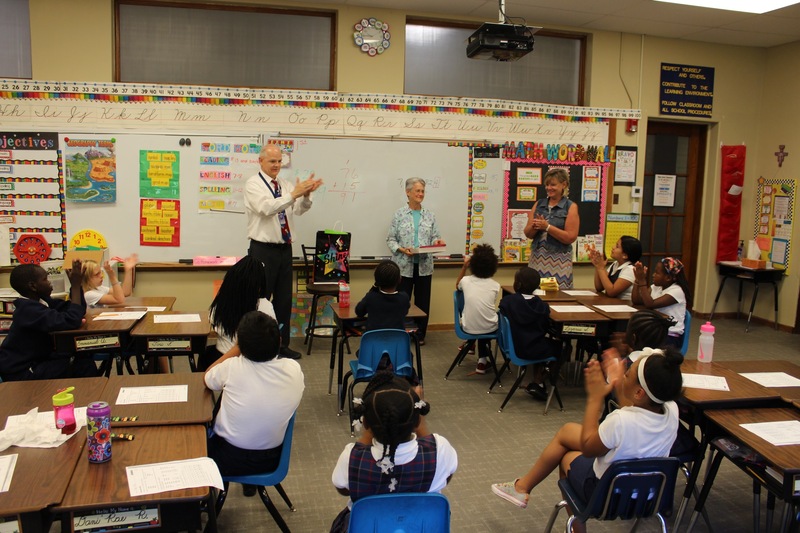 On Tuesday, July 12 the Sisters and Associates joined together in a service opportunity for Holy Name School. The Servants of Mary have been ministering at Holy Name for 98 years. 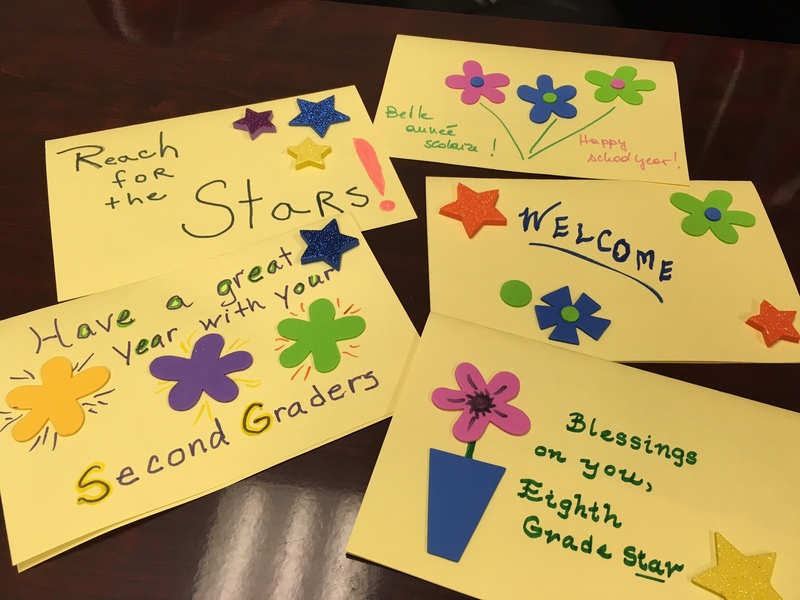 They created a bag for each classroom filled with school supplies, a letter for each student and a picture of the individuals who assembled the bag, decorated the cards, and wrote the letters. 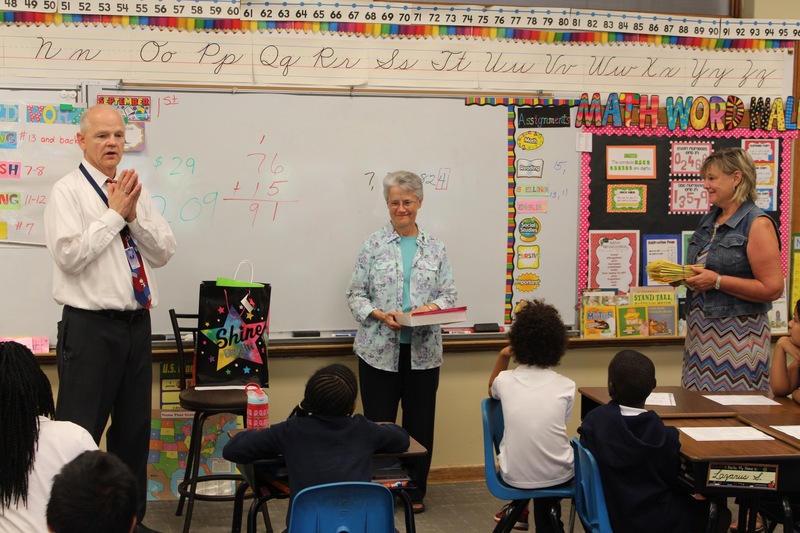 Included in the letter was a promise to pray for the Faculty, Staff, and students each day and an invitation to them to remember to pray for the Servants of Mary. The evening was filled with fun, laughter, and creativity. 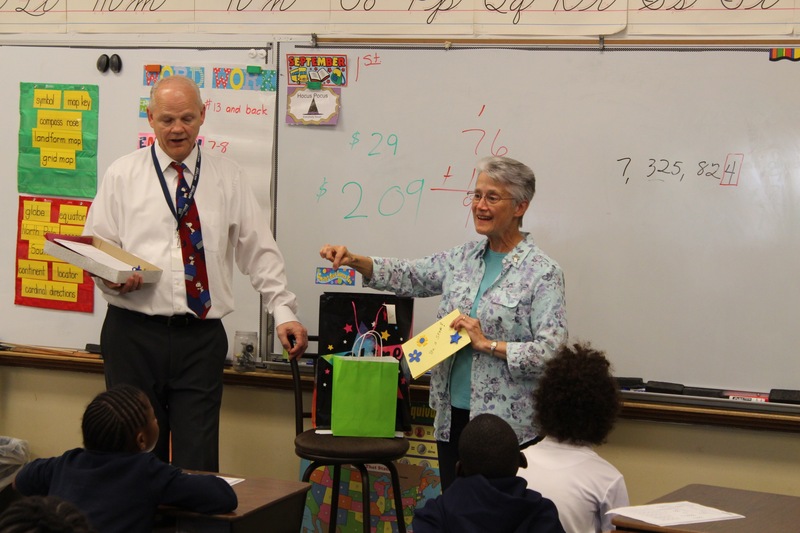 Pictured here is Dr. Don Ridder, Principal of Holy Name School and Sr. Carol Lorenz, OSM, the project organizer and a Teacher Assistant at Holy Name explaining the project to some of the third grade students.